The Senate on Monday unanimously approved a measure that would allow the immediate construction of the controversial World War II Memorial for the capital’s National Mall by exempting it from any legal action or administrative review that might prohibit it. All work on the monumental project has been halted by a lawsuit brought against it by groups opposed to its site and design and by a federal commission’s decision to reconsider Its earlier vote approving the memorial. The House passed similar legislation last week on a 400-15 vote, but differences in the Senate and House measures must be reconciled. If signed by President Bush, who has said he supports the bill, the legislation passed by the Senate would forbid federal courts and the federal commission to interfere with costruction of the memorial. It would. However, allow for minor design changes as construction proceeds. The lawsuit against the $140 million, 7A acre memorial was brought by the National Coalition to Save Our Mall, an amalgam of Washington preservation and conservation groups, civil rights activists, architects and some World War U veterans who object to the memorial’s location and design. “We are profoundly disappointed that the United States Congress has chosen to overturn federal laws and eviscerate citizens’ right in order to build a World War U Memorial that is an embarrassment to World War II veterans,” the coalition said following the Senate vote. 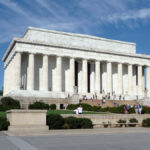 The group’s suit asks the court to halt the project, alleging It illegally infringes on grounds belonging to the Lincoln Memorial, that its government sponsors failed to submit required environmental impact statements and that site selection was made In private without opportunity for public comment. 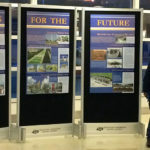 The Justice Department has intervened in the case, noting that one federal agency the National Capital Planning Commission, approved plans for the memorial after the term of its then-chairman had expired and he was no longer legally a member of the commission. The Planning Commission subsequently decided to rescind that vote and review the entire memorial proposal at new hearings next month. 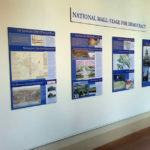 Sponsored by Rep. Bob Stump (R-Ariz) and Sen. Tim Hutchinson (R-Ark), the measure passed by both houses would effectively exempt the memorial from further review by the Planning Commission and any action taken by federal courts to stop it. “As we approach Memorial Day after eight years of work, it seems to me that It’s time that go forward with it,” Senate Majoriyt Leader Trent Lott (R-Mis.) said Monday. Senate Armed Services Committee Chairman John Warner said he approves of the memorial’s design and site, between the Lincoln and Washington memorials, but not the exemption measure. “I do not believe this legislation is a prudent course of action and hope that the issues raised in the litigation can be promptly resolved,” Warner said. The congressional action prompted a Capitol protest rally Monday by World War II Veterans who oppose the memorial’s proposed site and design. Calling It an “affront” to the who fought for the democracy they fought for, the veterans threatened to return their service medals if the Congress and the president approve the measure. The veterans complained that setting aside regulations was typicla of the dictatorial regimes they fought in the war the memorial is designed to honor. “I think it’s so sad, they’re going around nullifying laws like this,” said former University of Chicago biology professor Clark Ashby of Carbondale, Ill., who fought as an infantry sergeant in the Battle of the Bulge and was wounded by a German anti-tank weapon. The medals the protesting veterans threatened to turn in include several Purple Hearts and campaign ribbons, POW medals and the Bronze Star. The memorial has had the support of some 500 veterans groups, plus veteran and former Senate Majority Leader Bob Dole, authors Stephen Ambrose and Tom Brokaw, and Hollywood’s Tom Hanks and Steven Spielberg. As originally conceived, the World War II project was to have been built in a grove of trees to the side of the mall, similar to the sites where the Vietnam and Korean War Memorials are located. But at the suggestion of federal Fine Arts Commission Chairman J. Carter Brown, the site was switched to the center of the Mall and the memorial is to be built abutting the eastern end of the reflecting pool between the Lincoln Memorial and the Washington Monument. The design, by Rhode Island architect Fredrich St. Florian, calls for a ring of 17-foot-high granite slabs and two four-storyhigh towers. Opponents complain that this design is cold, funereal and reminiscent of the public works built for Hitler by architect Albert Speer. Supporters of the memorial argue that nay further delay is unconscionable because World War II veterans are dying at the rate of 1,100 a day and only about 4 million of the 16 million who served in the conflict will be alive by the proposed completion date of 2004.